When the Heise newlyweds set out to find their dream home, they never expected it to come in the form of a 1962 fixer upper in Plymouth, Michigan. 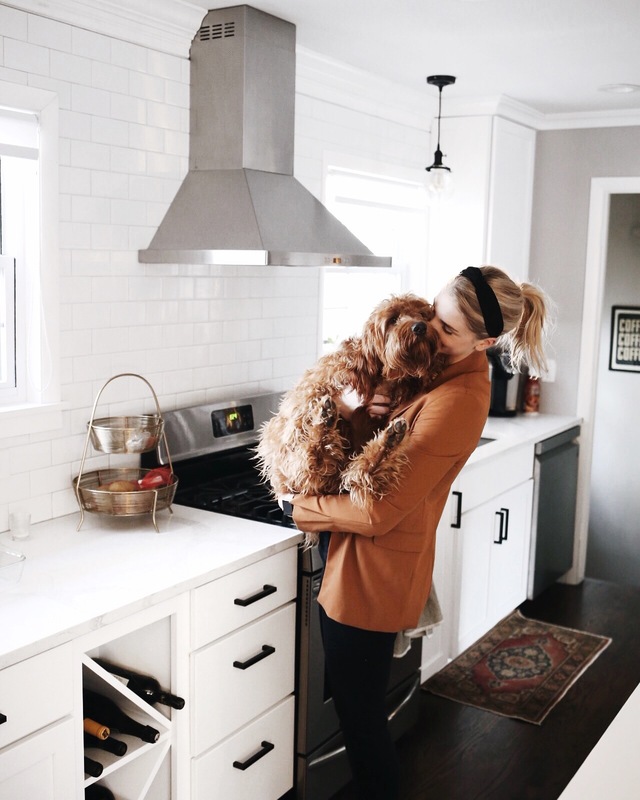 With multiple projects in sight, the two started their renovation journey in the heart of the home: the kitchen. In its original state – small, cramped and walled off from the neighboring dining and living rooms, the space left little to be desired. But, with the help of a trusted contractor, demolition began and their space began to take shape. 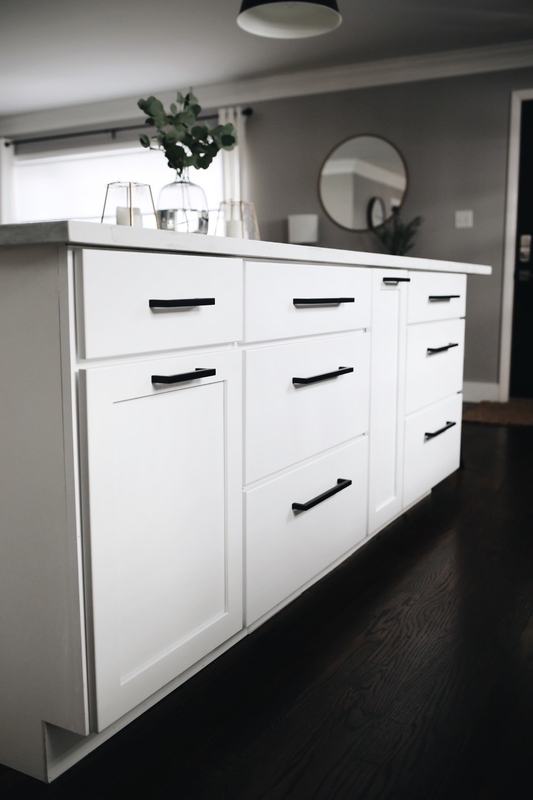 When it came to selecting cabinetry, the Heise duo admitted to considering options outside of E.W. Kitchens, including one Swedish big box company (which shall remain nameless). When asked what made them decide to go with E.W., their answer was twofold: not only did they appreciate the selection of high quality cabinetry offered at many different price points, but also, that they received a detailed kitchen design with renderings to help them visualize the space. We think you made the right choice too, Heises. Because the homeowners have a very defined style and knew they wanted a neutral, white kitchen, selecting the Yorktowne full profile door in the color sea salt was an easy decision. The over sized island, which serves as both a dining and prep space, seats 6 and has truly become the center of their home, providing guests a space to gather, eat and enjoy one another. 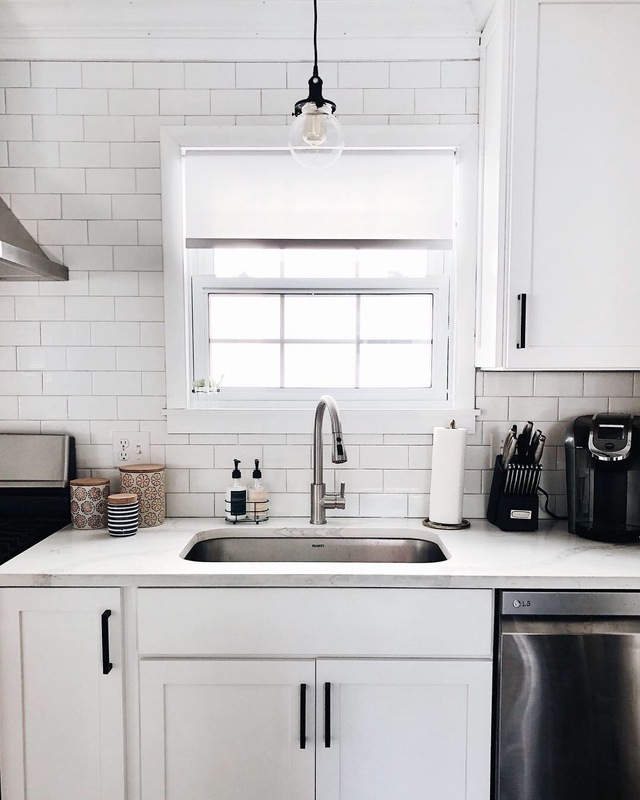 Keeping in line with their clean and classic style, the cabinetry is topped with Calacatta Verona quartz, providing their desired look of marble for a fraction of the cost. 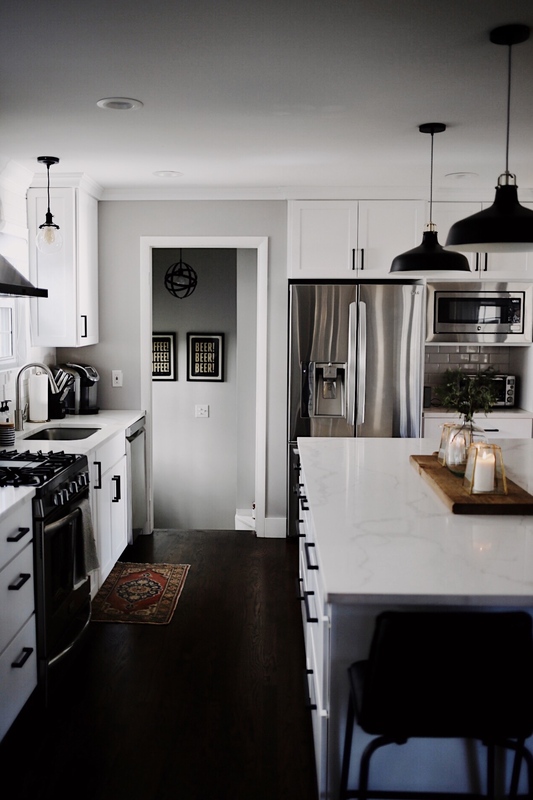 The final components of the kitchen came together with black hardware and lighting, re-staining the floor and adding a simple white subway tile backsplash. We couldn’t be more honored to have played a role in transforming this home into the Heise’s dream home. We wish them years and years of many happy memories here.